Datasets are designed to serve as pool of data and as data sources for new elements, such as Metrics and Reports. 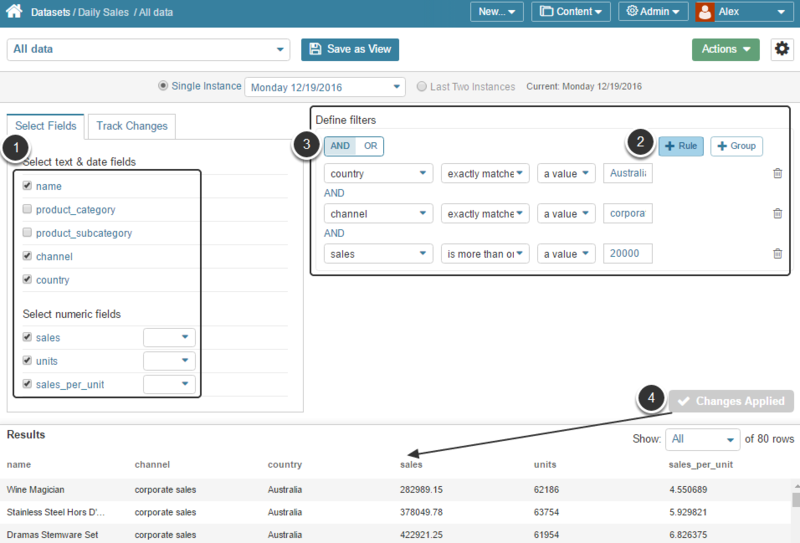 Additionally, you can seed out specific data by creating Dataset Views. How to create a View from the Dataset Viewer? How to define additional rules and conditions by which to filter the data? Click New Dataset View to proceed with defining criteria for this new View in the Dataset Viewer. 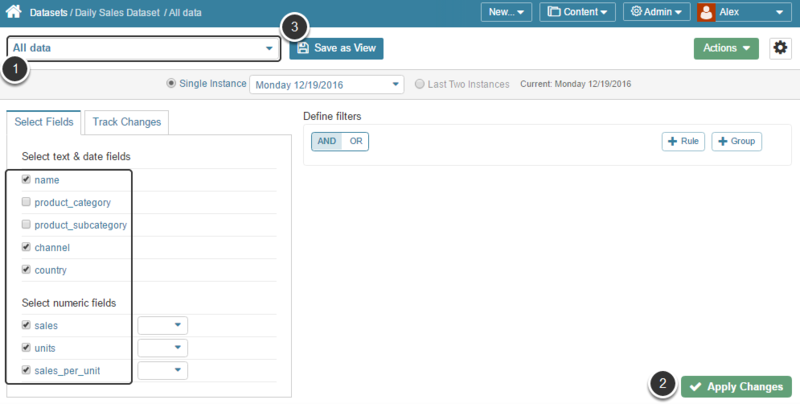 Define additional filters the total dataset. 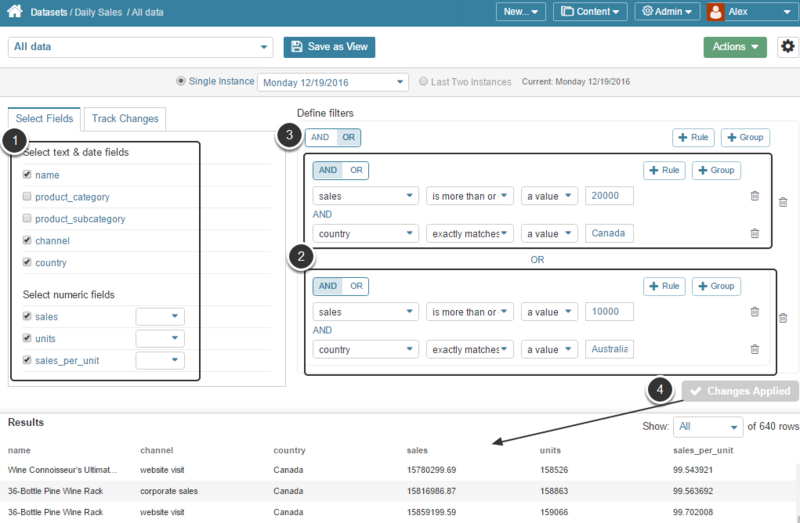 Dataset Views allow seeding out the required information using conditional filtering. You may mix several simple or compound AND / OR ] filters to focus on a highly specific data slice. The results set will be displayed right on the same page. Let's review the use cases given below. 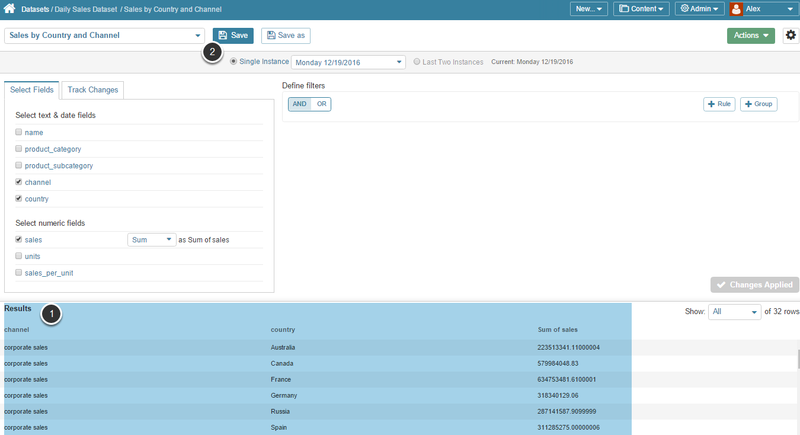 Use Case: Show any product sales of more than $20,000 in Australia via corporate sales channel. Note that all of the filters are AND filters, since we want to find data matching all of these criteria. 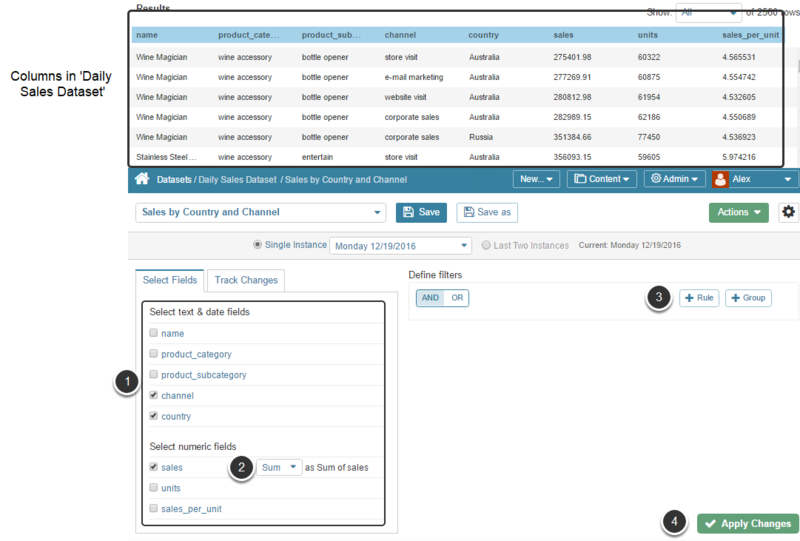 Select the following columns from the dataset for the view: Product Name, Channel, Country, Sales, Units, Sales Per Unit. Define filters: click [+ Rule] and define criteria for each new rule. Note that all of the filters are AND filters, since we need to find data matching ALL of these criteria. Use Case: Include any product sales for more than $20,000 in Canada for any channel OR for more than $10,000 in Australia for any channel. Delete an unnecessary Dataset View?